The story of legendary Afrobeat musician and political icon Fela Anikulapo-Kuti, with excerpts from documentaries and recorded concerts. 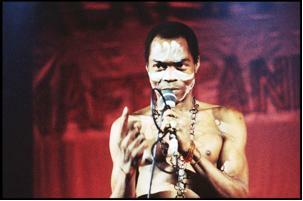 His red-hot music dealt with the political and social issues threatening him and many other Nigerians. Hugely influential, the music spread across Africa and through Black Power movements in America.